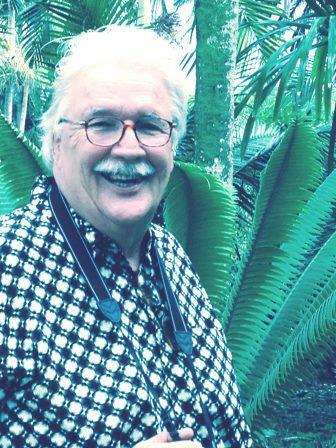 Our speaker is Dr. Phil Bergman, well-known author and speaker on palm trees and cycads in Southern California, and owner of Jungle Music Nursery in Encinitas, where he has been actively propagating and growing many types of rare tropical plants for the past 38 years. 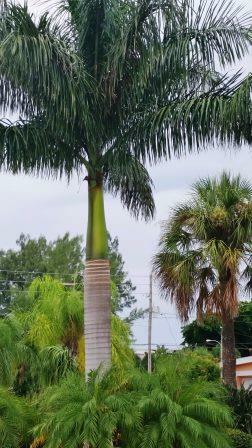 In Southern California you often see the same palms over and over again such as the Queen Palm, Mexican Fan Palm and Pygmy Date Palm, but there are scores of other beautiful palm trees that thrive in our area and add diversity and beauty to the garden. With this presentation you will learn about over 75 beautiful and rare species that you can easily grow, including some newly introduced species of Dypsis, Ravenea, Roystonea and Hyophorbe. The presentation will cover cultural requirements, mature sizes, special needs and any hidden “secrets” to successful growth. Dr. Bergman began Jungle Music Nursery in 1977 where he grows over 1000 species of tropical plants, with a quarter million plants for sale, on the 3-acre site in Encinitas. The main specialty has been palm trees, and the nursery is known country-wide for being a source for rare plant material. His website, www.junglemusic.net, was one of the first palm tree websites in the world. It contains over sixty articles that he authored on the cultivation and care of palms and cycads and more than 5000 plant photographs, including both habitat pictures and domestic plantings. Dr. Bergman holds a biology degree from Stanford University and a medical degree from UC San Francisco Medical School and has been a practicing emergency physician with Scripps Hospitals for 38 years. He is past President of both the Southern California and International Palm Societies.